A new kitchen to replace a dated existing one. 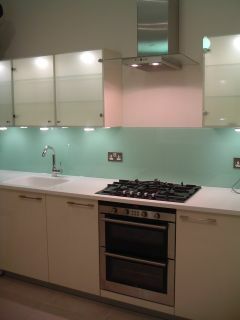 New glazed and solid units are combined with stainless steel fittings to offer a contemporary design. 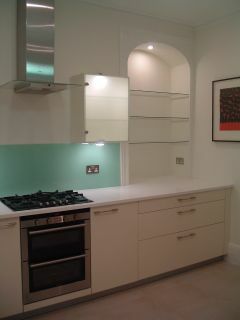 The work top is fitted with a corian surface. 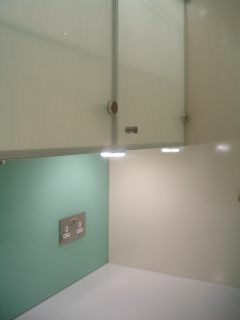 The space between wall and floor mounted units is filled with a new toughened glazed splash back.